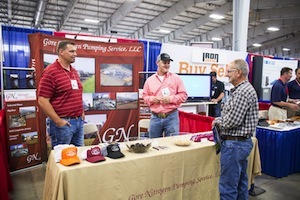 Please join us at the Oklahoma Oil & Gas Expo Thursday, October 10 from 9 a.m. to 3 p.m. in the Bennett Event Center at the State Fair Park in Oklahoma City, OK. This year’s expo will bring together companies, ideas, innovations and people who will shape the future of the oil and natural gas industry. 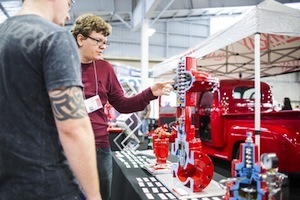 It’s the largest event of its kind in Oklahoma and is the only one organized and hosted by local industry volunteers. 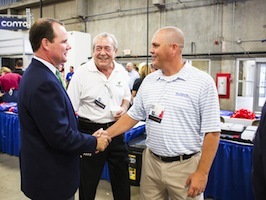 More than 3,800 attendees gather at the expo each year to network, learn, make connections and enjoy a complimentary Head Country BBQ lunch! You are also invited to play in the Oklahoma Oil & Gas Expo Golf Tournament on Wednesday, October 9 at Lincoln Park from 10 a.m. to 3 p.m. The cost is $150 per golfer or $600 per team and includes your green fee, cart and lunch. The Oklahoma Oil & Gas Expo is hosted by the Committee for Sustaining Oklahoma’s Energy Resources, or SOER. Previously the Marginal Well Commission, SOER encourages new processes or technological advancements to sustain the oil and natural gas industry in the future for the benefit of the citizens of Oklahoma and to advance activities to support marginally producing oil and natural gas wells. SOER is a part of the Oklahoma Energy Resources Board. To learn more, visit us at SOEROK.com. Should you find you have any questions, please contact Melanie Voice, SOER Director, at MVoice@SOEROK.com.